Steven Bannon with Mercer Family money set up Cambridge Analytical, acquiring names and intelligence on voters from Face book, a company called Global Scientific Research and a Russian psychiatrist named Dr. Aleksandr Kogan of St Petersberg University Russia (who managed the Russian troll farm.) 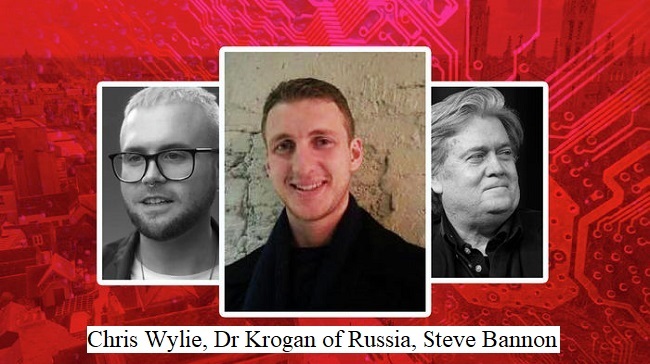 Whistle blower Christopher Wylie, who worked for the Mercers and Steve Bannon to form a machine to use psychological tools of manipulation on the masses to influence the election says that Cambridge Analyitical were courting Russians. We talk about this in today’s Radio Free Wall Street. Radio Free Wall Street’s daily webcast for March 19th has been posted. Click here to listen now.